Google wave preview tool has lot to say about what it is going to be in the future and it has some excellent features and is totally a collaboration of various tools and features. A wave is a message that you create with everything that you want to include – Text, formatted with HTML, images, videos, maps etc. Just hit the New Wave button in the Inbox section and the box for wave creation opens. You can enlarge the box, make it occupy the whole page when creating the wave. Embedding content includes embedding images, books results, web results, videos and other stuff like Maps, flash player etc. In the wave compose zone, hit the G+ button and the box for search of web, images, videos, books etc. appears which you can search for and include in the wave instantly. You can embed map with a particular location, or can also pin up location points in your map to locate your business etc. and share it. You can create copy on the map or can copy the same map location to a new wave. When you receive a wave, you can reply to it by hitting the reply button there are different options for you to reply, like replying to the whole wave just like a conversation, or by just replying to some text within the wave. This was the Part 1 of the tips and tricks. 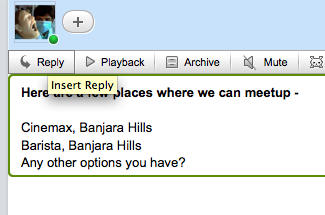 Soon will post more tips as I explore more about the Google wave tool. Check the first hands-on review and chance for you to get invites for Google wave. 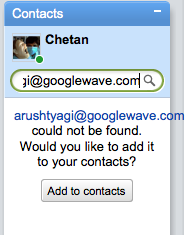 That’s cool, i wait to try it when open to the public..
Nice sharing Chetan as i am really eager to use Google Wave if you have one account can you mail me a request .